Every business wants to show up in search engines like Google. If your small business can get into those coveted top spots in search, you’ll have customers knocking down your door. But ranking in Google isn’t easy. You are competing against millions of other websites. In spite of that fact, every small business wants to land on that first page of organic search. What Can You Do to Improve Your Rankings? The most important factor for search engine success is choosing the right keywords. Keywords are how search engines, such as Google, find your content in a search. If you choose the wrong keywords, you could end up ranking on Google for terms your customers don't use. If keywords aren't even on your radar, you might not be on Google's radar, either. Common keywords get a lot of searches, so it would seem on the surface like these are the words you should focus on. But with a common keyword, how do you know that the customers on the other end of the Internet are looking for what you offer? Using specific keywords that relate directly to your business can help filter out irrelevant searches. In other words, specific keywords as opposed to generic ones will have a higher conversion rate. Search engine optimization (or SEO) requires specifics for this reason. In the chart above, the search term "web" is too general. Are we talking about the Internet or spider webs? "Website design" zooms in slightly more. However, it could still mean a website design career or a DIY for website design. The real results customers want are found when they search for a "website design firm." You are an expert in your field. You have words that you use when talking to other experts. You might even cringe when customers call it the wrong thing. But the words your customers use are exactly what you want to target! Customer-friendly terms are more casual. Many people may not know the industry term, so they certainly won't be searching for it. Your customers come to you because they have a problem. When they search online, they are most often searching for the problem, not searching for the solution. While you and your competitors are scrapping it out to rank for your products and services, keep this in mind. You might be surprised to find that keywords about the problem get more traffic and less competition. When you have a headache, you search for "headache," not "aspirin." Put yourself in your customer's shoes - what do they ask for when they call you? How do they describe what it is they are looking for? Do they tell you their problem ("I have a headache. "), or do they ask for your solution ("I need some aspirin.")? Do some research on your keywords before your content goes live. Don’t guess which keywords are best - a little research and testing goes a long way. Now that you have an idea of which keywords to target, it's time to optimize them on your website. Are you ahead of your competitors when it comes to website content? 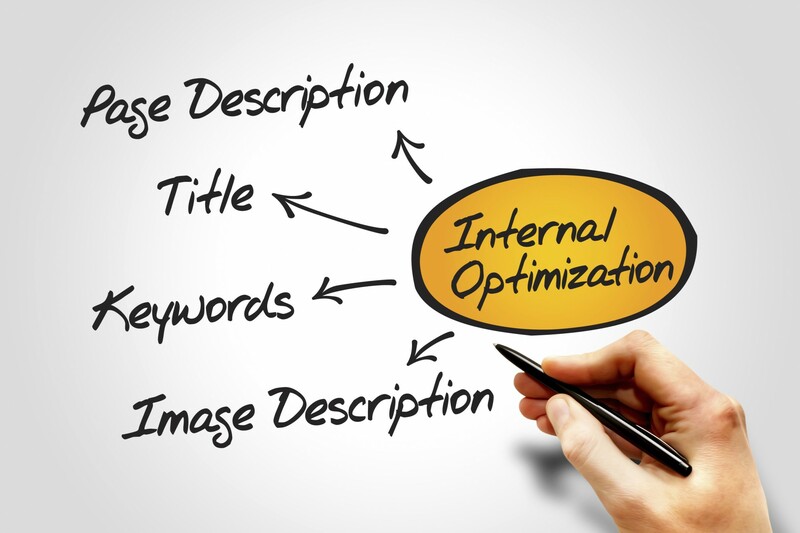 Check out our followup article, Part II: Using the Right Keywords, to keep your content optimized and recognizable for search engines, which can only improve your chances of advancing ahead of your competitors to land your organization in front of your target audience. Thank you Spire for the great work on our new website. Not only does the end product look great, but your team at Spire has been an absolute pleasure to work with! Your work on this project has exceeded our expectations.